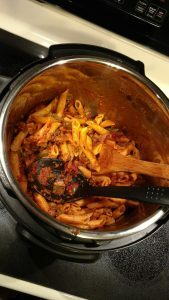 This is a good “one course” meal for the Instant Pot. It’s easy and quick. Set the Instant Pot to "saute"